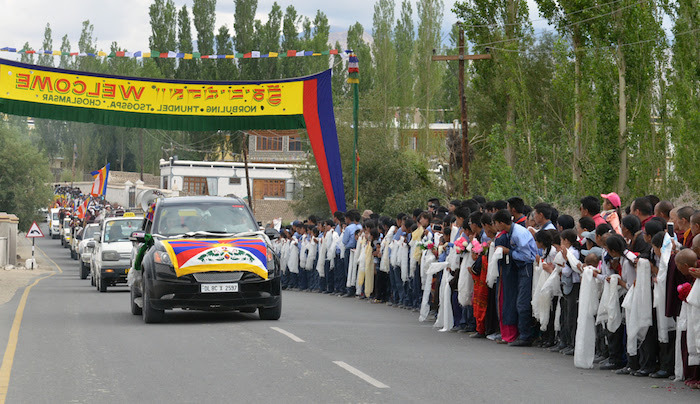 Thousands of devotees lined up the streets to Shiwatsel Phodrang with flowers and adornments to welcome the Tibetan spiritual leader as he arrived on his 19-day visit to Ladakh. 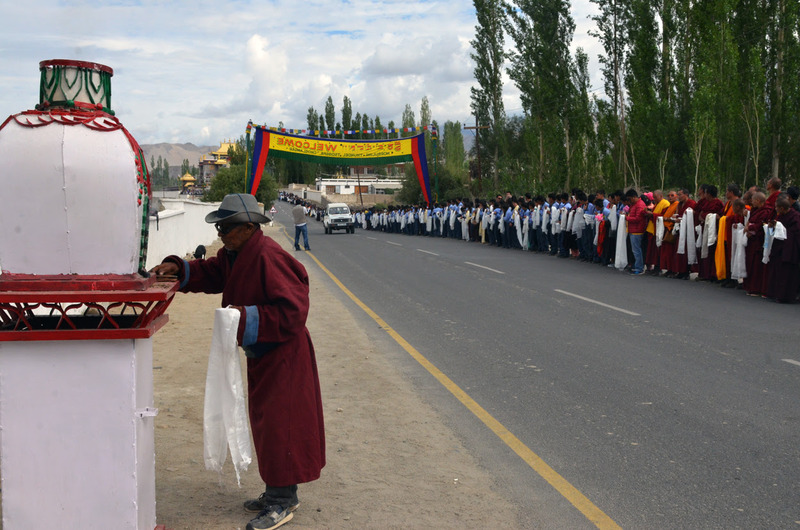 Members of Ladakh Buddhist Association, Ladakh Autonomous Hill Development Council, Gaden Trisur Rizong Rinpoche, Taklung Matru Rinpoche, Drikung Kyabgon Chetsang Rinpoche, Thigtse Rinpoche, All Ladakh Gonpa Association, Ladakh Ama Association, District Commissioner, SP, Ladakh Muslim community and local representatives received His Holiness the Dalai Lama at Leh airport. 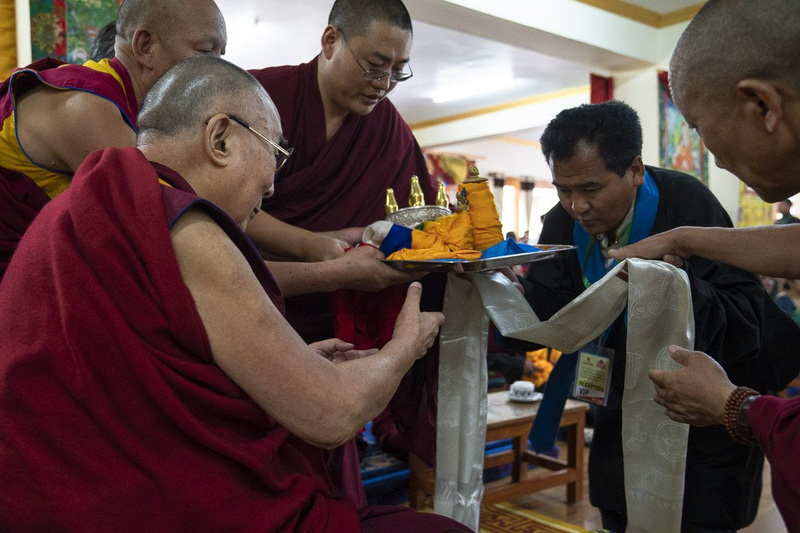 At the Shiwatsel Phodrang, Gaden Trisur Rizong Rinpoche made a Mandala offering to His Holiness the Dalai Lama. 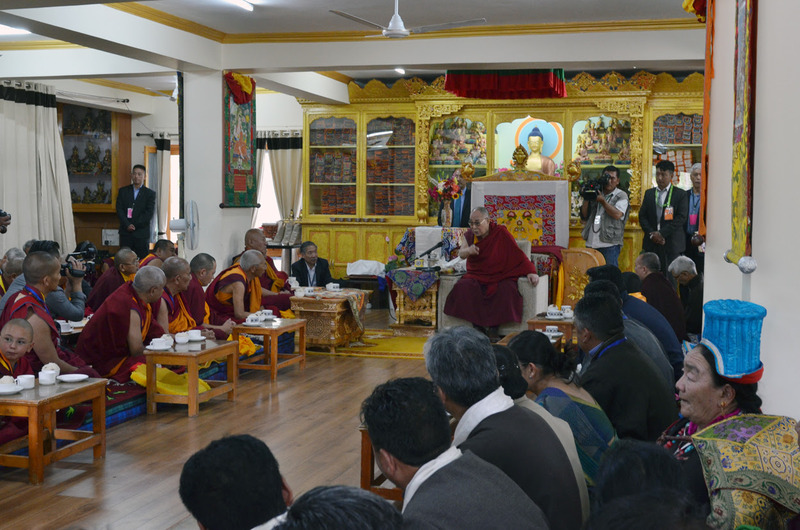 Addressing the gathering of religious and local community leaders, His Holiness commended the progress made by the Buddhist institutions and monasteries in Ladakh in the field of training and education. 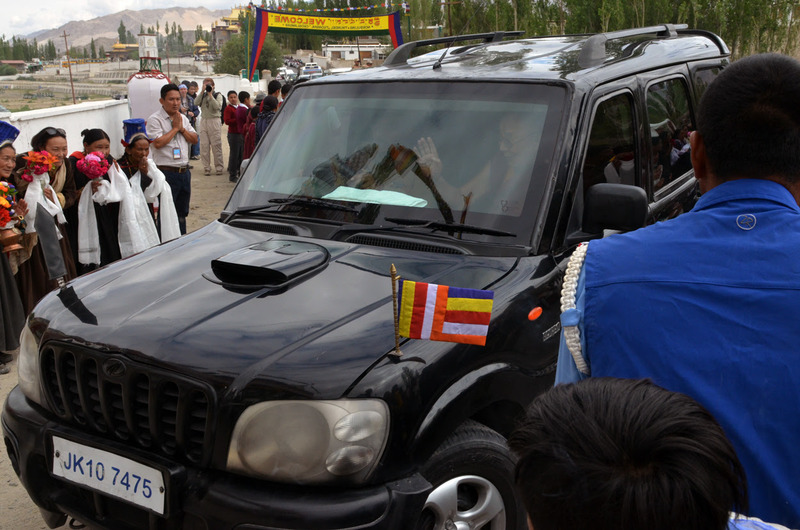 He expressed his joy at being able to visit Ladakh once again. 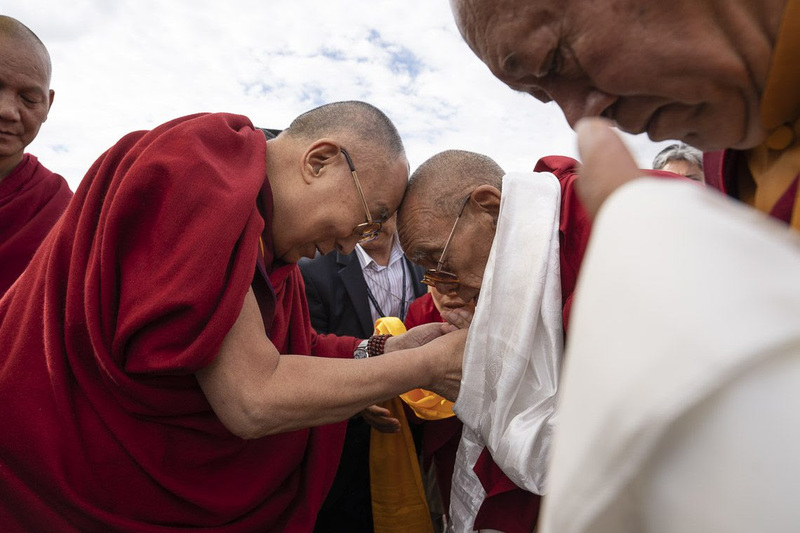 His Holiness recalled a meeting with a group from Himalayan region, who proposed a project to support the Tibetan Buddhist monasteries in Mon region and Ladakh and help establish them as institutes of Buddhist studies. Heaping praises for the initiative, he said it was very commendable and benevolent work. “Since the weather here is warm and dry, I thought it would be good for my joint pain if I stayed here for some time,” he told the members. On 6 July, a grand celebration in honour of the 83rd birthday of His Holiness is scheduled to take place at Shiwatsel Phodrang. From 10 to 12 July, His Holiness will give teachings on Shantideva’s A Guide to the Bodhisatva’s Way of Life (Tib: Chodjug). 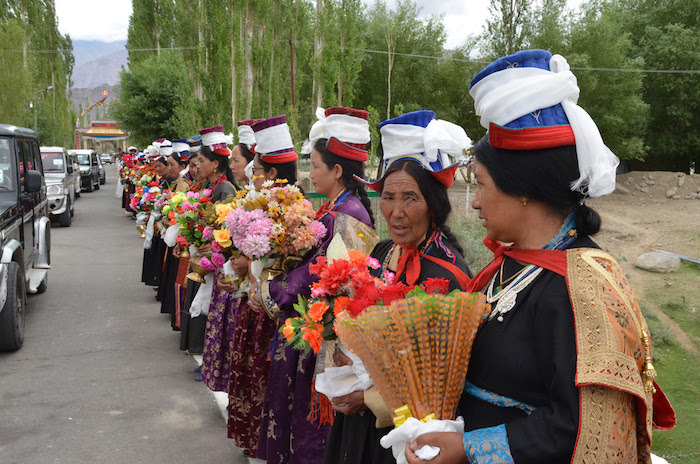 He will also participate in the Yarcho Chenmo-the annual ‘Summer Buddhist Council’ of philosophical debate and discussion – from July 18 to 20 at Samstanling Gonpa Sumoor in Nubra besides teachings in Nubra as well as in Leh at Shiwatsel teaching ground.